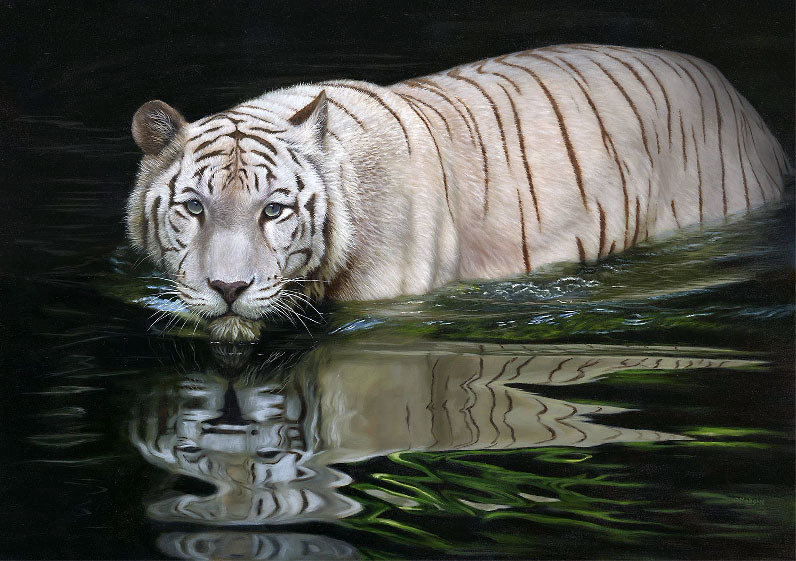 White Tiger Painting – Prints coming soon! Here is a much better photograph of my White Tiger painting. 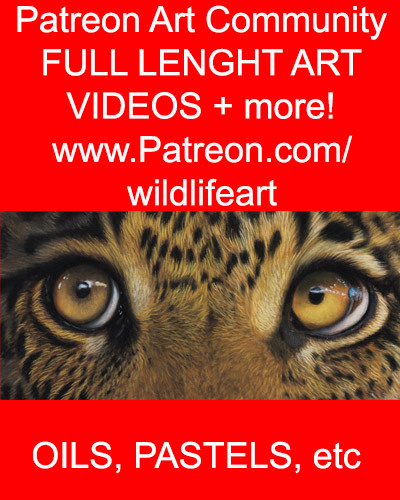 8 Responses to White Tiger Painting – Prints coming soon! This is very well done. I could never draw such magnificent and fierce animals. When i try to draw an animal as grand as this they always seem to come out cute. It would be nice to draw something like what you have here. I really like how it looks like a photograph. I especially like the reflection of the water and the fur. How long do these usually take you? Are these portraits of real animals or those in your mind? I usually just draw birds because i really love their wings. I haven’t painted any yet but i want to. Are there any suggestions on how i can go about this? I know it is good to use references but i am not too good with making angles besides side profiles. ALSO! i like that he/she does not look like he/she wants to eat me. HAHA To me at least. Can’t figure out what the expression means though. 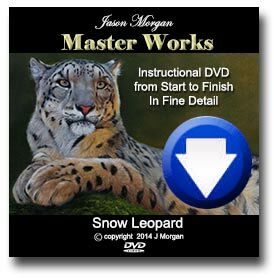 Does that go into consideration into your paintings? Thanks for posting, yes portraits of real animals. it takes about 6 or 7 sessions to paint.